Understanding Art is a five week course each spring. 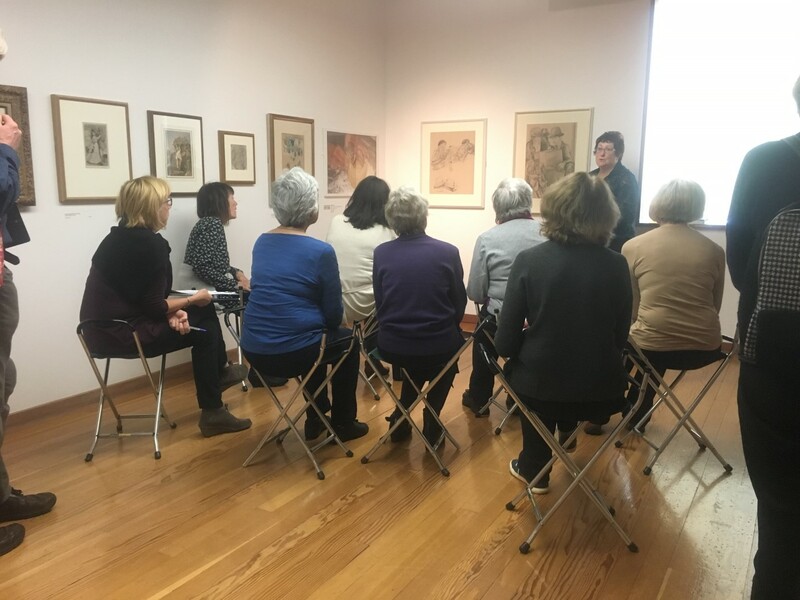 We create a theme that brings Collections and Exhibitions together over five Black Country and Birmingham galleries; The New Art Gallery Walsall, Wolverhampton Art Gallery, Ikon Gallery, The Barbers Institute of Fine Arts and Birmingham Museum and Art Gallery, with one session being held at each venue. We encourage you to come and question and discuss approaches with us. Keep an eye on the What’s On section for the next course. For further information and booking please visit: http://barber.org.uk/understanding-art/ alternatively call the box office on 0121 414 4414. A ten week course explore historic and contemporary art using collections and temporary exhibitions across five regional galleries. Progress through artistic movements, styles and periods from The New Art Gallery Walsall, Birmingham Museum and Art Gallery, Wolverhampton Art Gallery, Ikon Gallery and The Barber Institute of Fine Arts. Through supported looking, discussion and analysis, learn to enjoy and explore art wherever you encounter it! Please see our What’s On section for upcoming dates.